We have seen this in two sites with this environment so far, immediately after updating to 5.9.1. Go to a contact page. Click on Add Event Registration. The "Event" box says "- select event -" but is not searchable and does not show the dropdown of events. 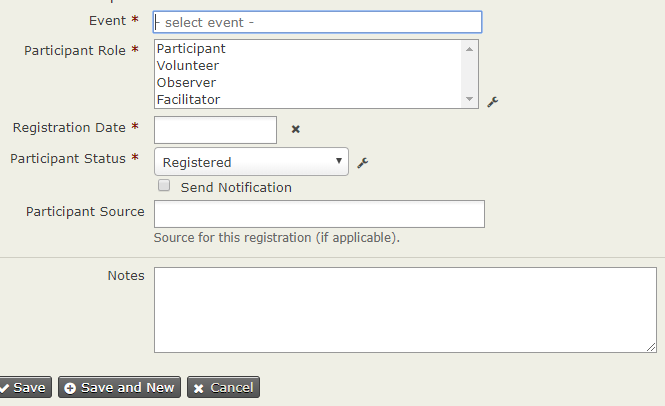 Note that it does work if you get to this same form through some the Manage Events dashboard or through the direct "Register Event Participant" link on the menu. It's only if you do it through the contact page that it fails. Browse other questions tagged civievent or ask your own question.